Description: Rich styling and elegance come to light with Aneila. 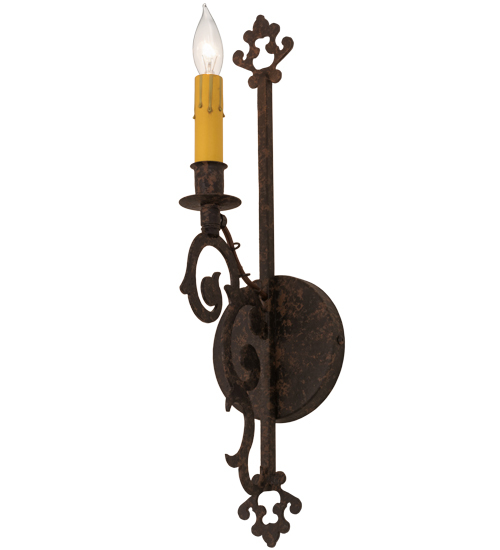 This wall sconce pairs a faux candlelight on a bobeche with detailed scrolled hardware and decorative elements that are featured in a Coffee Bean finish. Handcrafted in the USA, this exquisite fixture is available in custom sizes, styles and colors.